Our Cherry Tree: We made... an Easter Bonnet! We do enjoy partaking in crafty activities in this household, even in months like this one when we're counting our pennies, making meals go further and trying to get in extra cash. With Easter approaching next weekend I'm definitely feeling Spring-like and have already made our Easter tree (which you can see here) and some paper bunting. By shopping in Poundworld, Poundland and The Works and using bits I already had at home I've been able to add a little decor and a couple of afternoons crafting for about £7. Our last purchase was this hat from Poundworld, they had a few colours to choose from and a number of different stickers and objects to stick on them. I didn't buy any extras as I knew I already had enough crap stuff at home in my junk craft drawer. 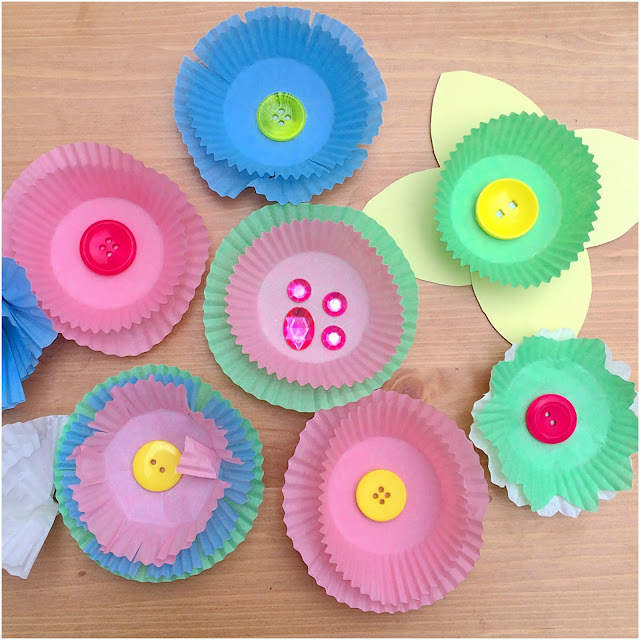 I grabbed some pastel coloured cupcake wrappers from the cupboard, some brightly coloured buttons, ribbon, washi tape and stickers. Then Lily and I got to work. Making a variety of different flowers. When we had enough (just in time for Lily to start getting fed up) we used double-sided sticky tape to attach the flowers around the bonnet. So if you have a poundshop nearby, it's definitely worth taking a quick look at their Easter section. If you create anything lovely, pop back and let me know as I'd love to take a look. I love the idea of using cake cases. It looks great. Oh wow, I absolutely love that. Such a simple idea, but looks fab! What a genius idea to use the cup cake cases!!!! 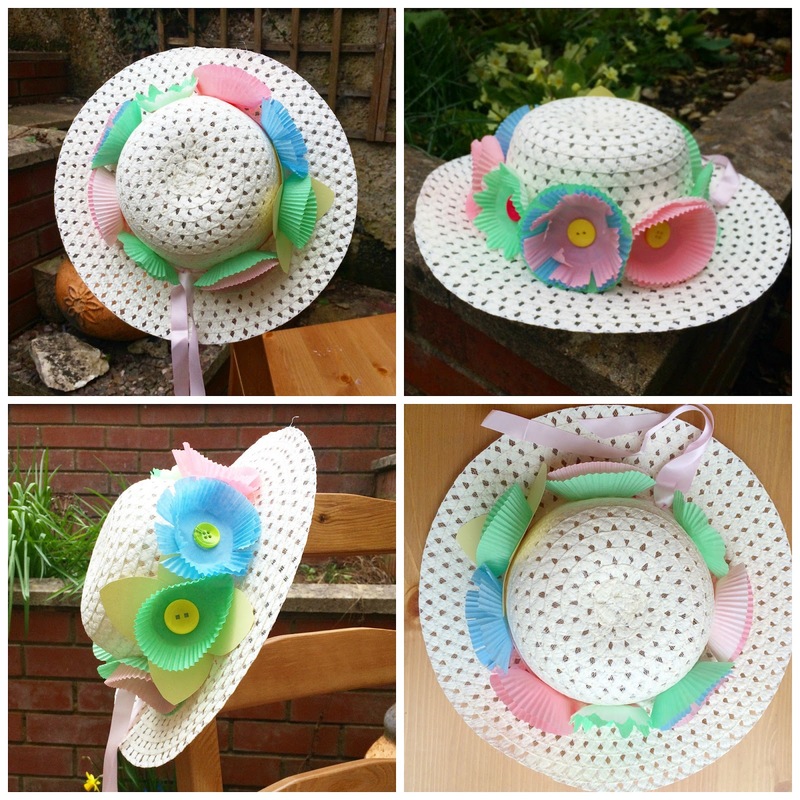 What a pretty bonnet! 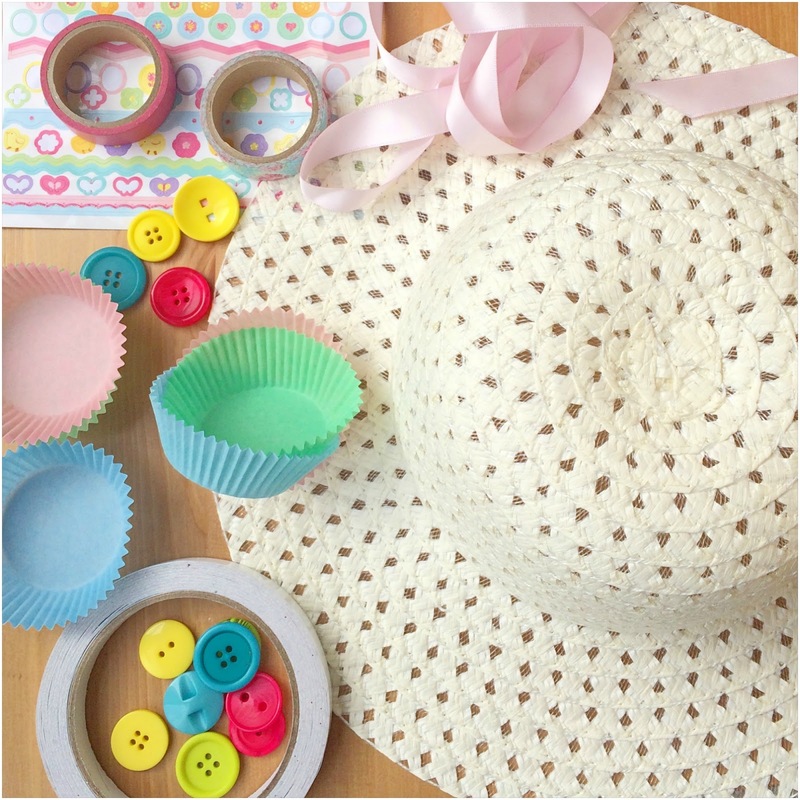 We love pound land and pound world...so much cheaper than HobbyCraft!